Multinational companies are taking extra measures to secure qualified employees in Brazil’s booming economy. To cope with a talent shortage, many are beefing up internship programs, spending more on training and salaries and relocating workers from flat or declining markets. Particularly in demand: English-speaking managers and engineers, as well as those with experience in business development. Brazil’s economy has soared in recent years as its oil, gas and ethanol sectors thrived. In 2010, U.S. foreign direct investment in Brazil totaled $6.2 billion, up from $2.4 billion in 2003, according to the Banco Central do Brasil. From January through April this year, U.S. investment reached $3.1 billion. 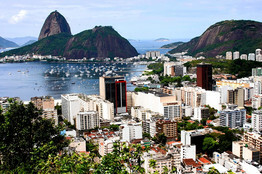 To read the full article please visit: Brazil’s Boom Creates Demand for Talent – Barrons.com.